The Virgin Mary Girls’ School aims to ensure that children are safe and feel safe from bullying, harassment and discrimination. This school is committed to teaching children the knowledge and skills to be able to use ICT effectively, safely and responsibly. 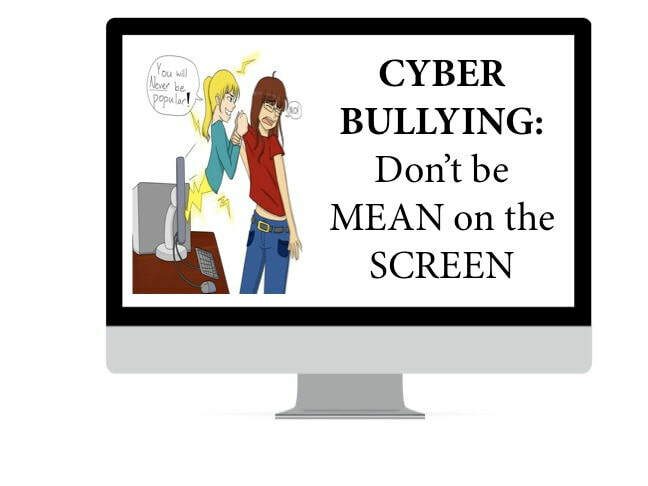 Bullying via websites – use of defamatory blogs (web logs), personal websites and online personal ‘own web space’ sites such as You Tube, Facebook, Ask.fm, Bebo (which works by signing on in one‛s school, therefore making it easy to find a victim) and Myspace – although there are others. 7. ‘Exclusion’: Intentionally excluding someone from an on-line group, like a ‘buddy list’. This list is not exhaustive and the terms used continue to change. To ensure that pupils, staff and parents understand what cyber bullying is and how it can be combated. To ensure that practices and procedures are agreed to prevent incidents of cyberBullying. It can take place anywhere and involve many people. Anybody can be targeted including pupils and school staff. It can include threats, intimidation, harassment, cyber-stalking, vilification, defamation, exclusion, peer rejection, impersonation, unauthorized publication of private information or images etc. Staff, pupils, parents and Board of Management (BoM) to be made aware of issues surrounding cyber bullying. Staff CPD (Continuous Professional Development) will assist in learning about current technologies. Pupils will learn about cyber bullying through Social, Personal and Health Education (SPHE), assemblies, friendship week activities and other curriculum projects. Pupils will sign an Acceptable Use of ICT (Information and Communication Technology) contract. Parents will be provided with information and advice on how to combat cyber bullying. Parents will be expected to sign an Acceptable Use of ICT contract prior to enrolment and to discuss its meaning with their children. Pupils, parents and staff will be involved in reviewing and revising this policy and school procedure. All reports of cyber bullying will be investigated, recorded, stored in the Principal’s office and monitored regularly. Procedures in our school Anti-bullying Policy shall apply. The Gardaí will be contacted in cases of actual or suspected illegal content. Fill out the standardised recording template issued by DES in Circular 045/2013. Keep appropriate records which will assist him/her to resolve the issues and restore, as far as is practicable, the relationships of the parties involved inform parents of the matter at an early stage and explain the actions being taken. Remember, bullying is never your fault. It can be stopped and it can usually be traced. Don‛t ignore the bullying. Tell someone you trust, such as a teacher or parent or call an advice line. Try to keep calm. If you are frightened, try to show it as little as possible. Don‛t get angry, it will only make the person bullying you more likely to continue. Don‛t give out your personal details online – if you‛re in a chat room, watch what you say about where you live, the school you go to, your email address etc. All these things can help someone who wants to harm you to build up a picture about you. Keep and save any bullying emails, text messages or images. Then you can show them to a parent or teacher as evidence. If you can, make a note of the time and date bullying messages or images were sent, and note any details about the sender. There‛s plenty of online advice on how to react to cyber bullying. For example, Ie.reachout.com and www.wiredsafety.org have some useful tips. You can easily stop receiving text messages for a while by turning-off incoming messages for a couple of days. This might stop the person texting you by making them believe you‛ve changed your phone number. If the bullying persists, you can change your phone number. Ask your mobile service provider about this. Don‛t delete messages from cyber bullies. You don‛t have to read them, but you should keep them as evidence. Teachers do not have permission to communicate with present or past pupils of the school on any type of social media, this includes Facebook, Twitter and any form of email. All staff of the Virgin Mary Girls’ School have the right to privacy out of school hours and are not to be contacted by pupils both present or past on any type of social media, this includes blogs, forums tagging posts on Facebook, Twitter and any form of email. Compiled in consultation with teachers, pupils, parents and Board of Management February 2013. Reviewed in line with Anti-Bullying Procedures for Primary & Post – Primary Schools, Department of Education & Skills September 2013.